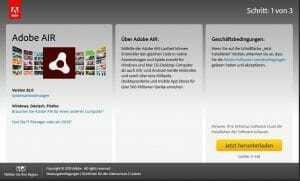 Or you can download Adobe Air directly from Adobe. Install in 3 Steps. Save the Programm on your computer and Install it. 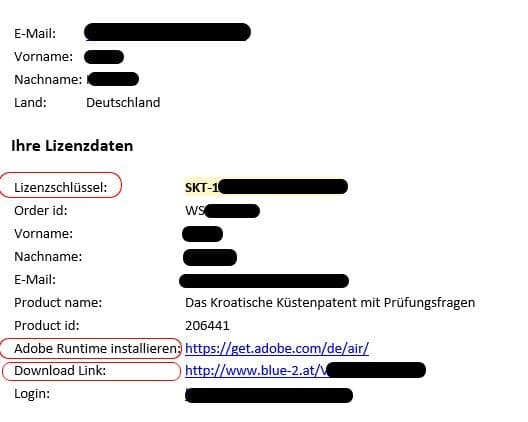 Adobe Stock must not be installed. 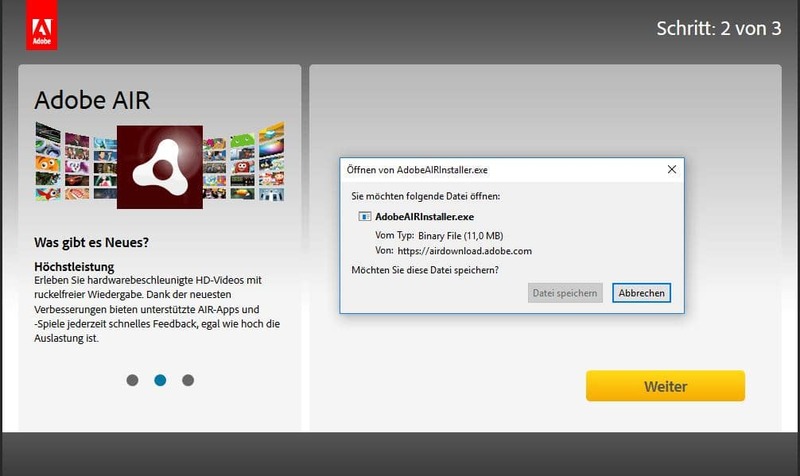 Plese doubleklick the downloaded APP and the Installation will happen. If you have problems during installation go to chapter 4 FAQ’s. 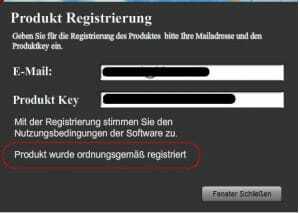 When the program is started for the first time, the user (e-mail address) and the license key must be entered. The program can be installed on up to three computers. 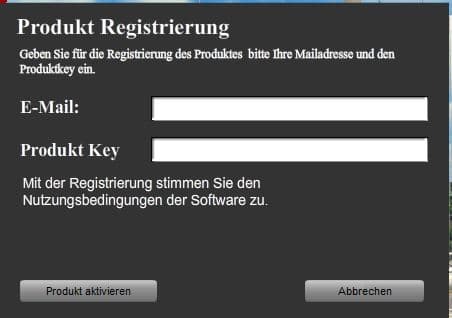 The license key can be found together with the user login (mail address) on the order from Digistore24. 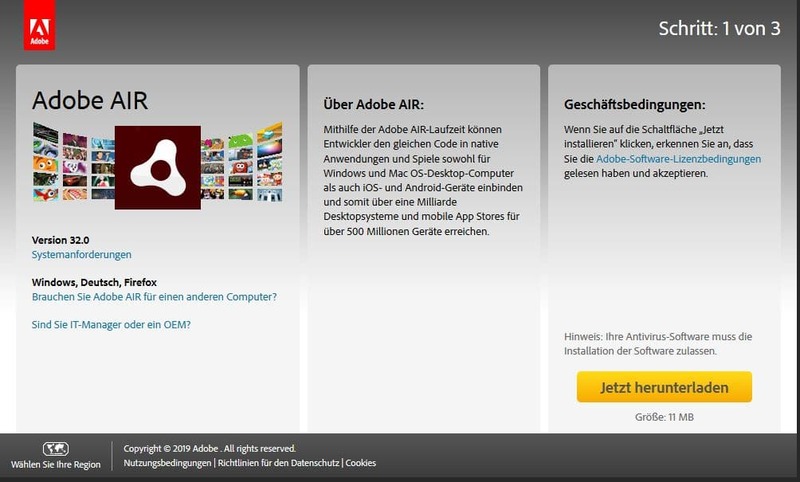 A: Please disable virus scanner before installationQ: Adobe Air is installed. I can not install the App.